In this category you will find everything from ampoule pads to classic medical bags and acute bags. 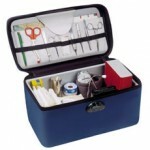 We have, among other things, Bollmann medical bags in many different models and designs. 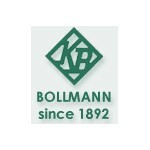 BollMann's medical bags are usually spacious, why they are good for home visits, etc. We also have many other types of medical bags, such as our emergency care bags, with which it is easy and convenient to transport in emergency situations. There are both backpacks and aluminum cushions that can be used as emergency bags. All our emergency bags consist of durable material that protects your equipment in all types of situations. At MEDshop.dk you can also find bags for nurses who are practical at home or in a nursing home. 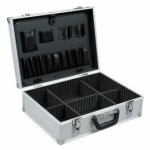 You also have the option of choosing the appropriate equipment for your doctor's case. We also sell ample bags and ampoule folders of different sizes. Ampoule pads and bags make it safe to transport your ampules. We also carry ampoule openers that make it easier to open the ampoule without unnecessary damage. 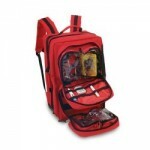 At MEDshop.dk you can always find all the equipment you need for yourmedical bag . For some bags it is also possible to purchase a package of equipment for your bag. Feel free to contact us to learn more about this.